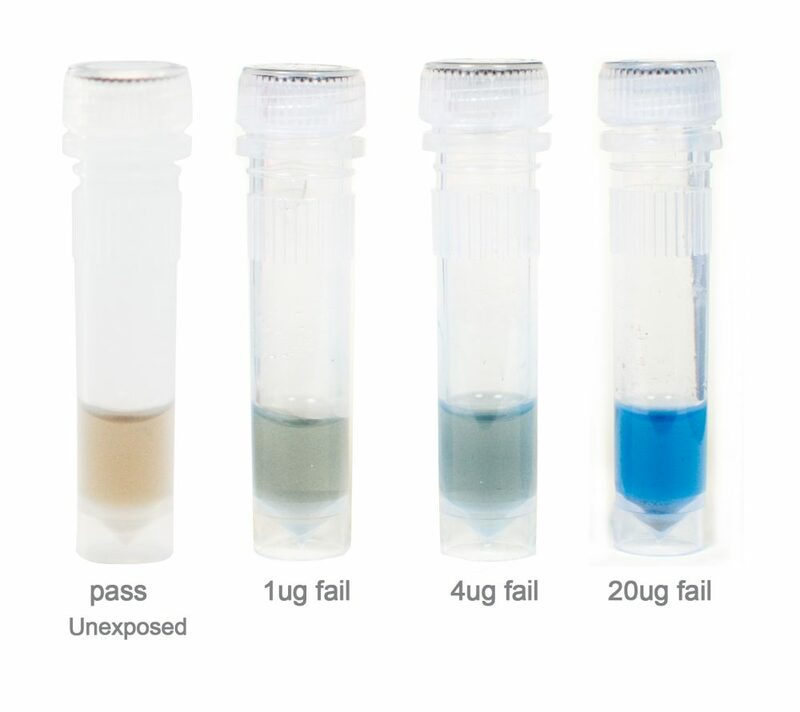 Dentacheck Protein Residue tests from Walker Electronics. SKU: WEL-DENTAPRT Category: Ultrasonic Testing and Validation. A pack containing 25 Dentacheck protein reside tests. The pack contains 25 small swabs and 25 viles containing the protein detection chemical. The package also includes 2 Positive control tests which can be used to verification and training purposes. 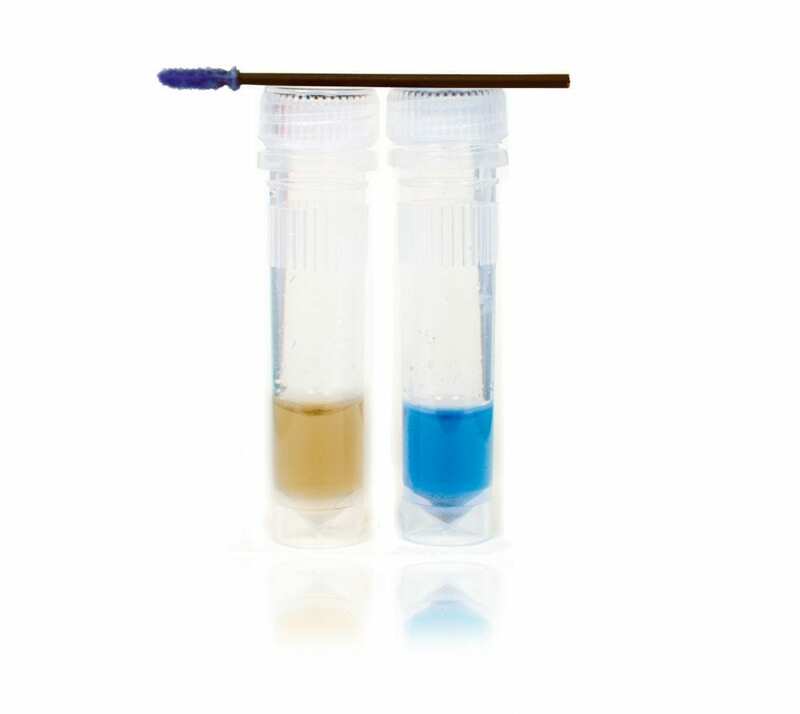 Simple remove the swab and moisten (if the test area is not damp) then place in the solution and swirl. 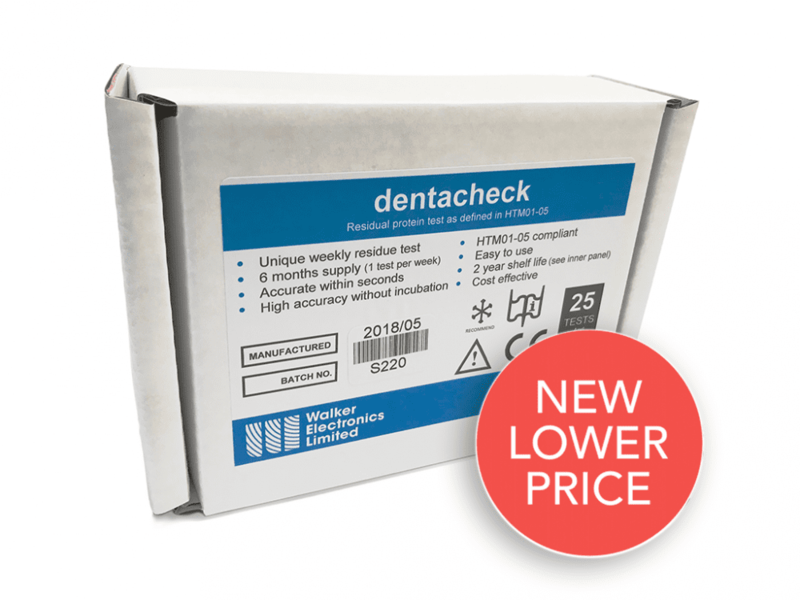 The Denta-Check protein test is a rapid test that can detect residual proteins left behind on the surfaces of dental and surgical instruments. An easy to read colour change gives you your final result within 10 seconds. These are suitable for use with ultrasonic cleaners, washer disinfectors and even manual cleaning. This protein test is based on a dye-binding solution used in clinical chemistry and can detect protein residues within 1ug sensitivity WITHOUT incubation.